Tessa Hayes joined LALIVE in 2016. Her main area of practice is international arbitration, both commercial and investor-state in a variety of sectors. 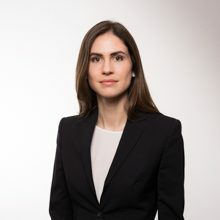 Before joining the firm, Tessa Hayes was a member of the dispute resolution group at Freshfields Bruckhaus Deringer in New York (2014-2015). Tessa Hayes received her J.D. (Juris Doctor) from Harvard Law School (2014). She also holds a bachelor’s degree in comparative literature from Yale University (2004), as well as a master’s degree in translation (2009) and a Certificate in Transnational Law (2014), both from the University of Geneva. Washington D.C 06/03/2018 Tessa Hayes Author/Speaker: To Hot Tub or Not to Hot Tub?